I made this recipe in early May and I totally forgot to post the recipe. To be honest, I thought I already had. So as the saying goes, better late than never! I originally made this recipe because my grandkids were going to spend Memorial Day weekend with us. 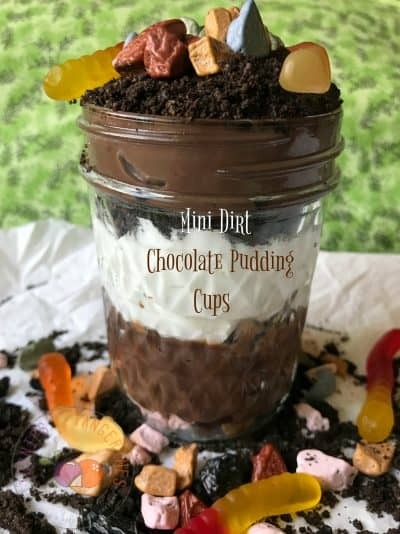 (like I said, this post is from May) I have to admit, my hubby and I thought that these Mini Dirt Chocolate Pudding Cups were pretty darn good. In fact, we loved them. My inspiration for this recipe came in the form of rocks. Chocolate rocks to be exact. Not far from where I live is a really neat, (do people still say ‘neat’ anymore?) candy store called Sweet Memories Candy & Ice Cream Shoppe . It’s located in Lakewood WI and it’s a local landmark and a ‘must stop at’ stop for travelers heading up north for the weekend. 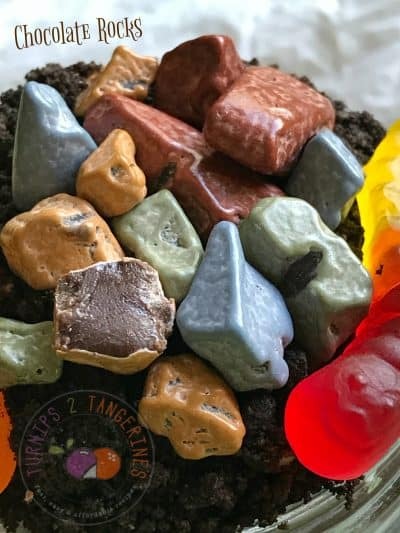 One day I spotted chocolate rocks in the self serve bulk candy section. Hmm. Last year at the Dollar Tree, I found these super delicious Peppermint Rippin’ Good Cookies. I mean these babies are beyond delicious. My only regret was I didn’t clear the shelves when I had the chance. I went back to the Dollar Tree in Antigo WI three days later and they were gone. Seriously, I thought I was going to cry. 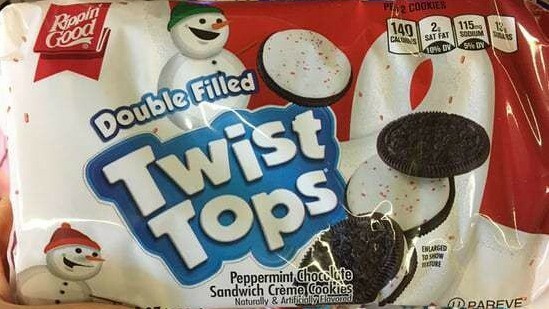 If you happen to find these cookies at the Dollar Tree near you, pick up a couple of packages!! If you’re a fan of peppermint and chocolate, these Rippin’ Good Cookies Rock!! For over 85 years, Ripon WI. has been known as Cookietown. It is said that when the wind blows from the north, the city smells like cookies. Ripon residents even baked the “world’s largest cookie” which was featured on the cover of the “Guinness Book of Records.” In 19 Horace Bumby establishes Ripon Foods Inc. with a single oven and 25 employees and Rippin’ Good Cookies was born, putting Cookietown or Ripon WI on the map. In the early 80’s Ripon Foods bought Heritage Wafers, Ltd., adding sugar wafers to their list of 40 kinds of cookies. In 1999 the St. Louise based company Ralcorp Holdings, Inc. buys Ripon Foods. It agrees to operate Ripon foods within its consumer foods subsidiary company Bremmer. Bremmer manufactures crackers, cookies, snack nuts, mayonnaise and salad dressings. In 2012, ConAgra Foods, Inc. completes its acquisition of Ralcorp Holdings, Inc., making the combined company one of the largest packaged food companies in North America. In 2015, ConAgra announces its plan to close the Ripon west plant which manufactures cookies. At the end of 2016, the east wafer-making plant is also closed. This brings an end to a long history of cookie making in Ripon WI, or does it? In May, 2017, Fox 11 News reported that the Ripon Cookie Plant was reopening. The New York based company, Simple Natural Foods, purchased one of the closed cookie factories in Ripon. 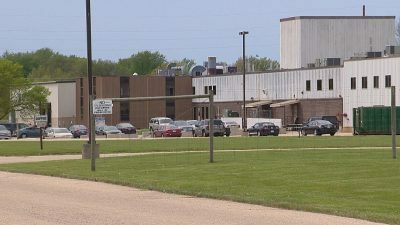 Workers at the former Ripon East plant will be producing wafer cookie products similar to those previously produced as Rippin’ Good cookies. Some of the new cookies will be healthier varieties. Rippin’ Good makes Rippin’ Good Cookies once again! 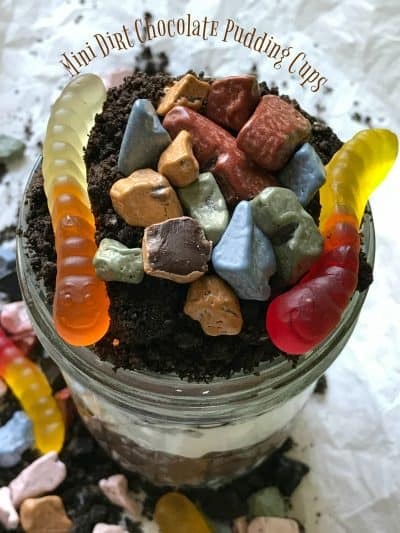 Make mini dirt pudding cups in (4) 4 oz. clear glass canning jars. 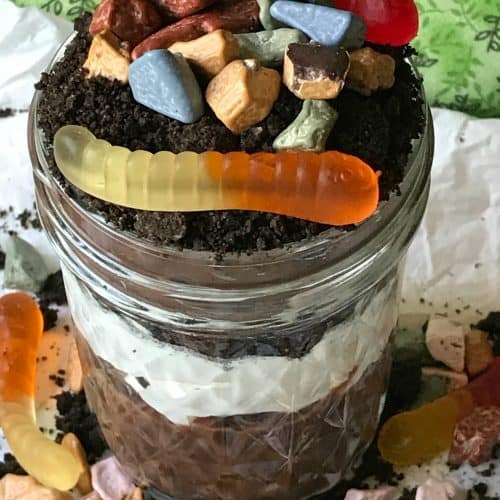 It’s a fun way to show off the layers of this kid friendly dessert. 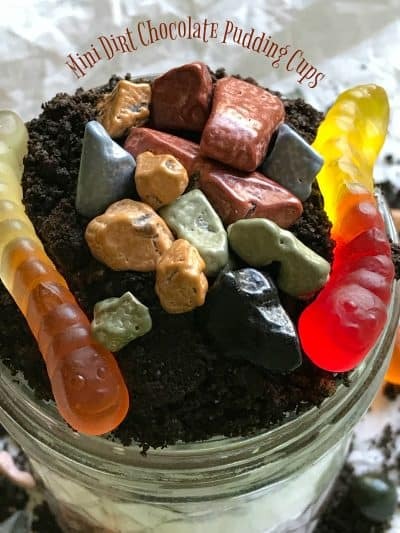 Place a layer of chocolate rocks on the bottom of the jars. Spoon chocolate pudding on top of the rocks, then the whipped topping and crushed oreo cookies. Repeat the layers again, starting with the rocks and ending with crushed oreos. 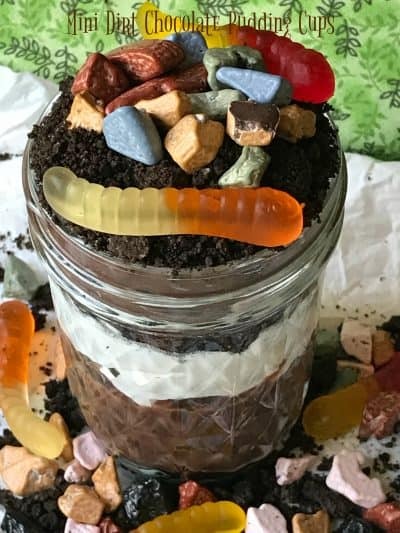 Decorate the top with crushed oreos, chocolate rocks and gummi worms. Mini Chocolate Pudding Cups are super delicious dessert cups for all ages. Place mini oreo's in a large zip-lock baggies. Using rolling pin, crush cookies. Set aside. Make pudding. Stir mix into milk in medium saucepan, stirring constantly until mixture thickens slightly. Remove from heat. Serve warm or chilled. Pudding thickens as it cools. When pudding has cooled completely make pudding cups. Scatter a few chocolate rocks on the bottom of the glass jars. Layer pudding, whipped topping and crushed oreo cookies. Repeat layers, rocks, pudding, whipped topping and ending with crushed oreo's. Decorate the top with gummi worms and chocolate rocks. Do you love Oreo cookies as much as we do? Take a look at these…Easy Oreo Cheesecake Filled Shells, Birthday Cake Cookies n’ Cream Fudge and Chocolate Covered Oreo Cookies.